Welcome to a move-in ready beautiful conservation lot, 4/3/3 home with pavered driveway in Watergrass. From the covered front porch, the entry into this open floorplan with wood-look tile floors will make you want to see more. The home office off the wide foyer is spacious enough for two desks. The upgraded kitchen overlooks the dining & great rooms. Kitchen features include gorgeous quartz countertops, plenty of cabinets with crown molding, upgraded Kitchenaid appliances, outside-vented fan over range, built in double ovens & microwave, reverse osmosis water filtration system, large walk-in pantry & spacious built-in breakfast seating. Sliding doors lead from the great room to the pavered, screened lanai overlooking the beautiful conservation that wraps around the side & back of the home. The MBR features an en-suite bath with dual sinks, granite counters, walk-in shower & large walk-in closet. The 2nd & 3rd bedrooms have a jack and jill bath & the 4th bedroom at the rear of the home has access to the guest bath. Off the kitchen is a drop zone that provides a counter and cabinet space as you enter from the large 3-car garage & the separate laundry room has plenty of counter space & a sink. The new solar system installed on the roof has given the owners a $35/month electric bills. Watergrass has a community pool, tennis & basketball courts & playgrounds. Watergrass Elementary is located within the community and easy access to the other schools. 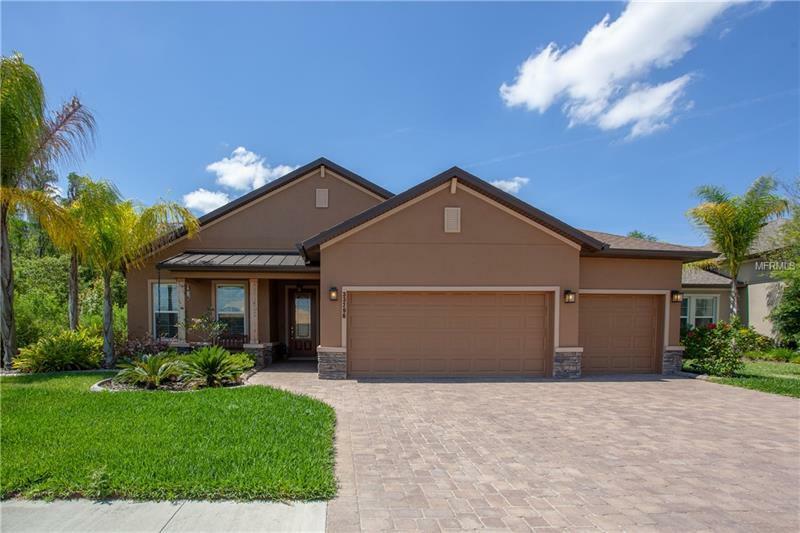 Minutes away from all the amenities of Wesley Chapel.